You don’t know who you are, where you are and where you should be. 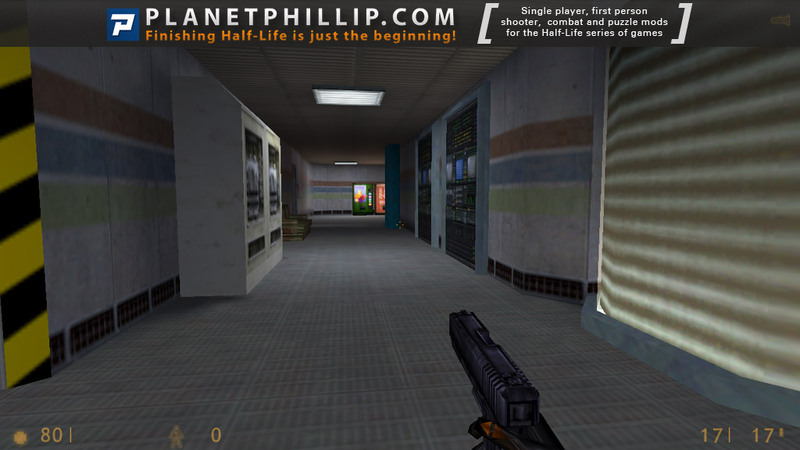 In true Half-Life fashion, go forth and kill! 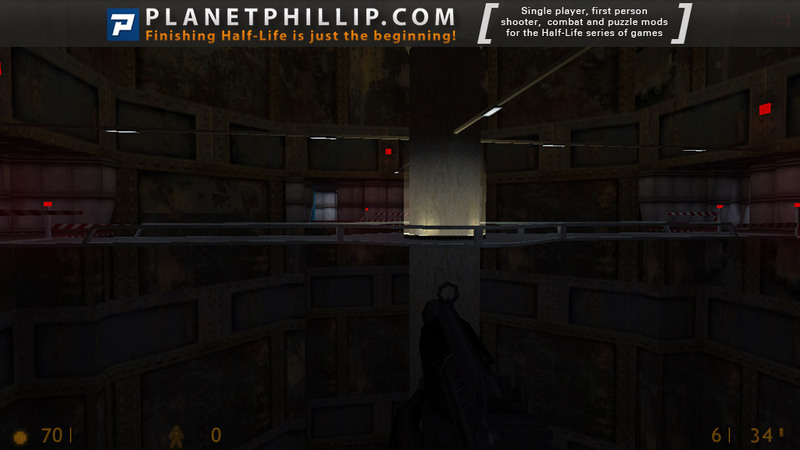 Copy sp_nameless.bsp into your Half-Life 1 Maps folder. Open the console and type map sp_nameless. This is a pretty cool map. The center piece being the movable walkway. Better lighting and I would have made a panoramic of it. 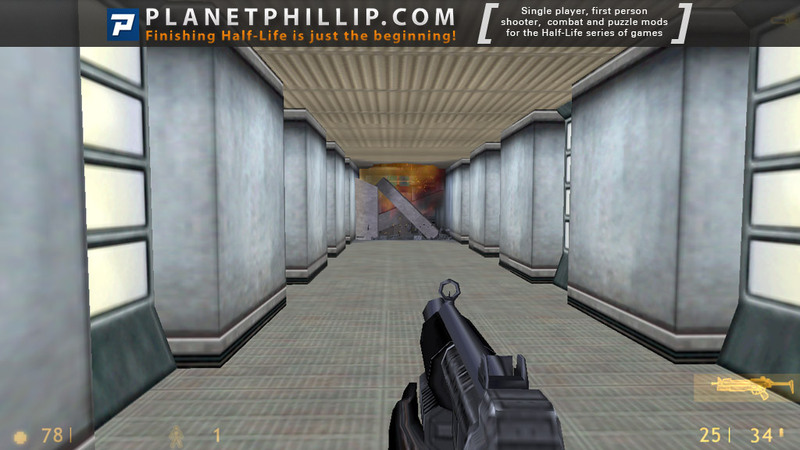 All in all, this map has just what you need for your BM-HL1 fix: corridors, zombies and bullets. 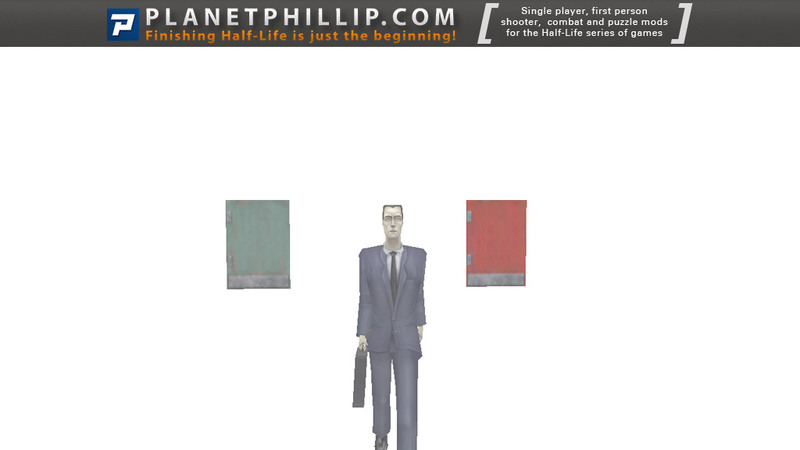 Actually, it’s a shame that the recent HL releases couldn’t have been bundled into something bigger. Oh well, gotta take them as they come, I suppose. Overall a good map with some pretty decent mapping and combat. Ammo were pretty scarce towards the middle, which made the encounter with the alien grunt fairly hard depending on the difficulty. As said, the mapping were decent enough – some areas looked good while others lacked, especially in the lighting department. Ambient sounds were also lacking which made the otherwise fairly epic facility unnecessarily dull and silent. The distant mortar explosions and triggered scenes were great but only lasted for a few seconds. The ending seemed a bit tacked on and the choice could’ve been cut altogether; seemed like the author just threw it together for the sake of it. All in all, I had a fun time for the few minutes it lasted. 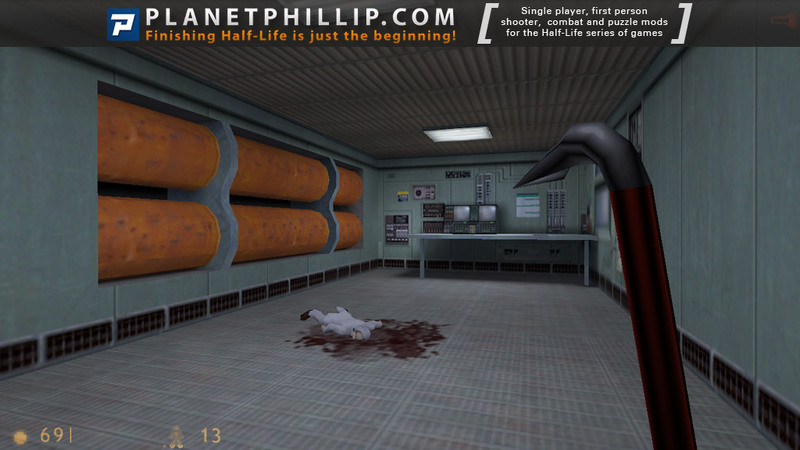 Nameless is quite a nice little map, while offering nothing new whatsoever. It is of more than adequate build quality, though like some other recent releases the quantity is lacking. Personally though, I am more than happy to have these kinds of maps. 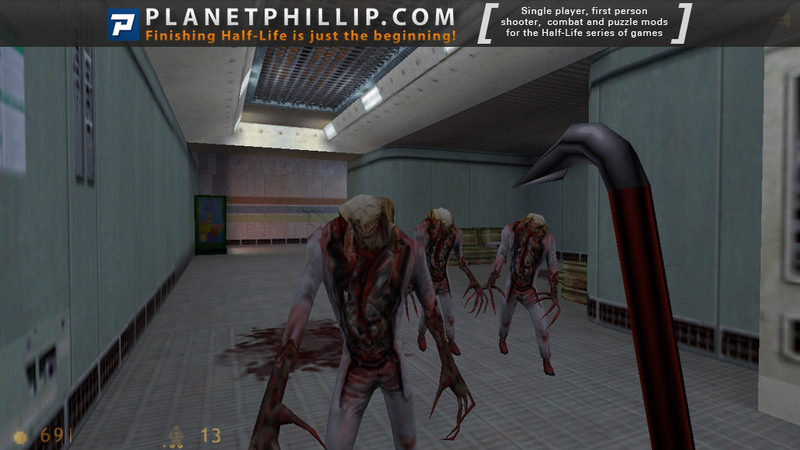 I would much rather have a nicely detailed and well thought out little piece of mappery like this than a longer but relatively sloppy and less inspired pack – Halflife:Return2 would be an example. 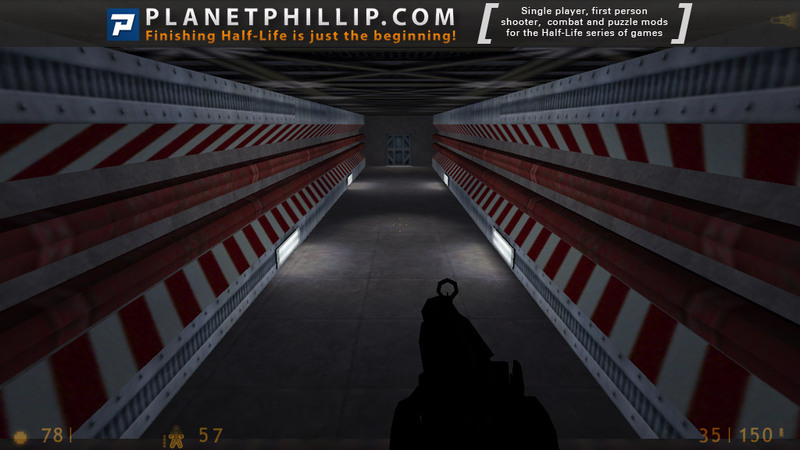 While you don’t spend much time there, this really does feel like Black Mesa. Definitely worth a play-through! 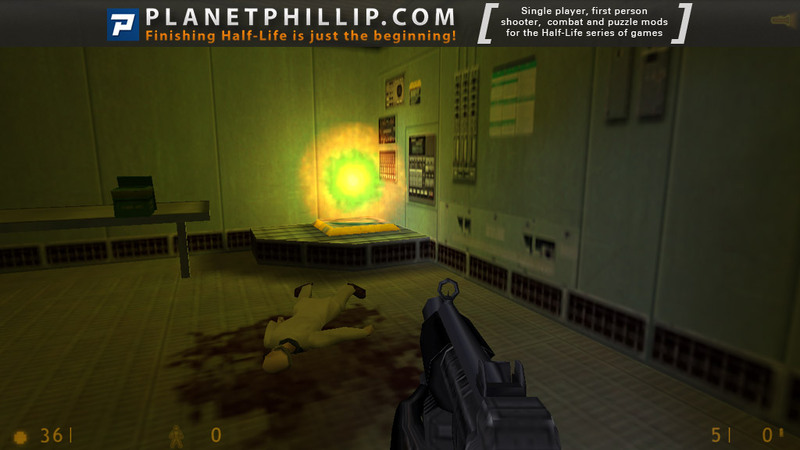 Short but sweet Black Mesa encounter that won’t tax your skills to any great extent, however, if you hang around you could be swamped by aliens. I found most of the tough encounters could either be out run or out witted, facing up to 3 or 4 zombies at once just isn’t an option. 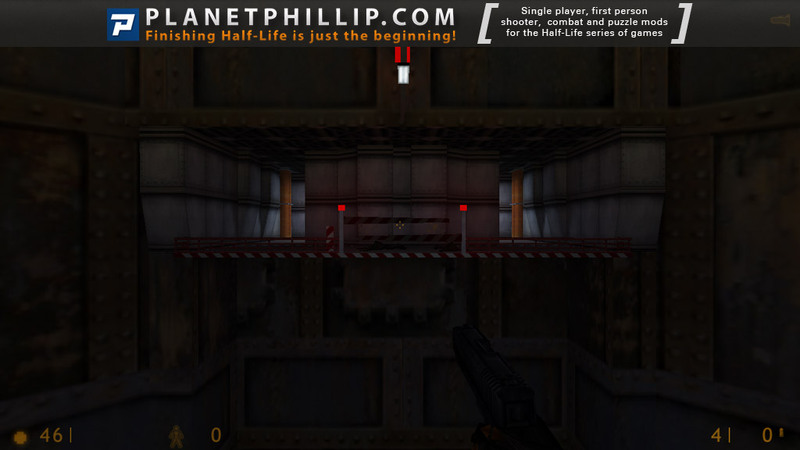 The shortness of the map does not allow for any real story line to develop nor much in the way of puzzles to be included, it’s very much a keep on the go map, and you are either shooting of running. The set design is fairly basic and familiar that reaches no great heights of mapping skills, best to take what there is and have a few minutes of fun, which I am sure, was the motivation behind its conception. 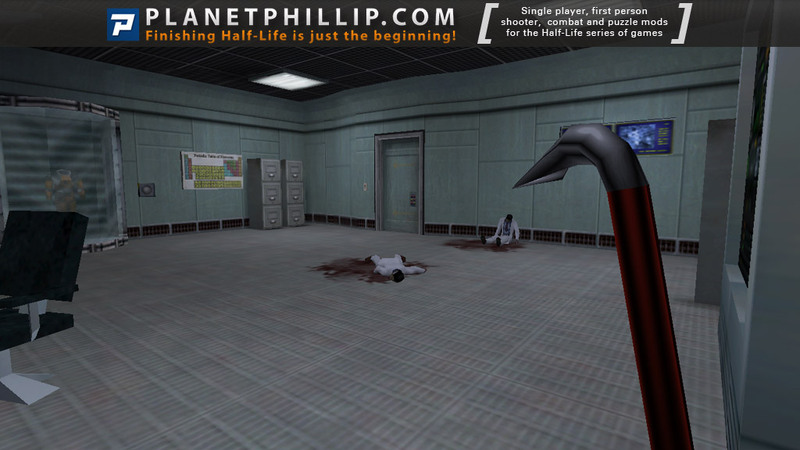 Somewhere in Black Mesa, near the Lambda complex, some scientist locked himself in the storage room to escape from horrors that were happening around. After some time, he had to leave the safety, and that’s where the game begins. 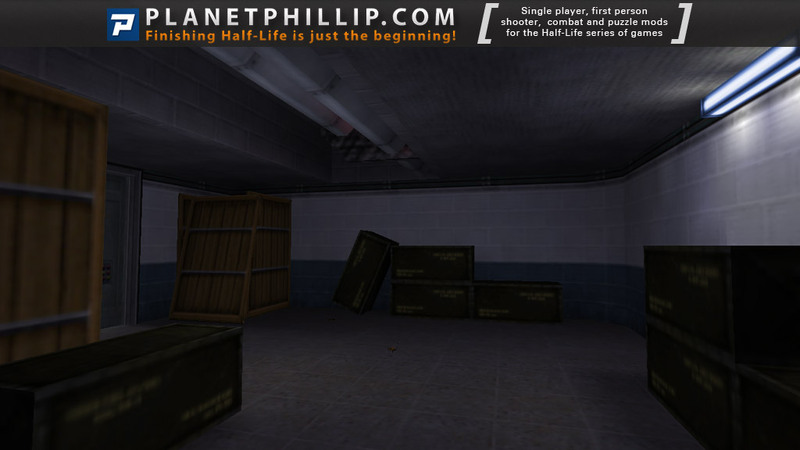 I liked the beautiful design of this map, which reminds of Half-Life’s first chapters. 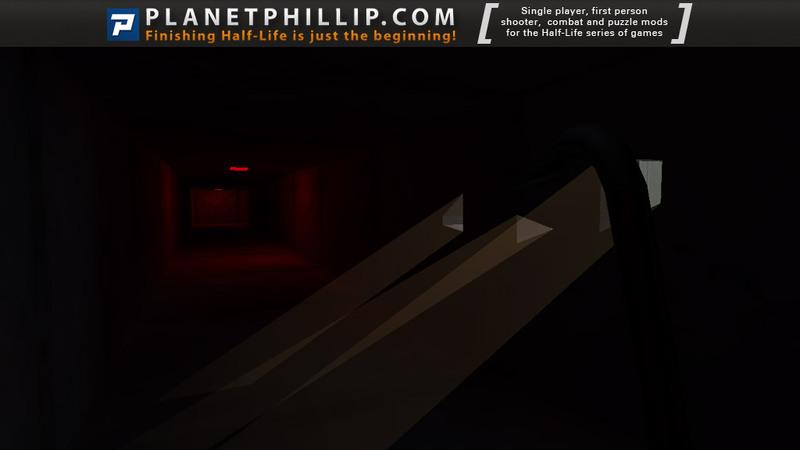 The Black Mesa feel is very strong. There are many nice touches around, which make a good use of HL’s components like airstrikes, teleporters, bullsquid crushing headcrabs. In the game’s resources there are unused sounds where the suit tells about picked up weapon. This map uses them and it is also a nice touch. And in the end there is a choice. 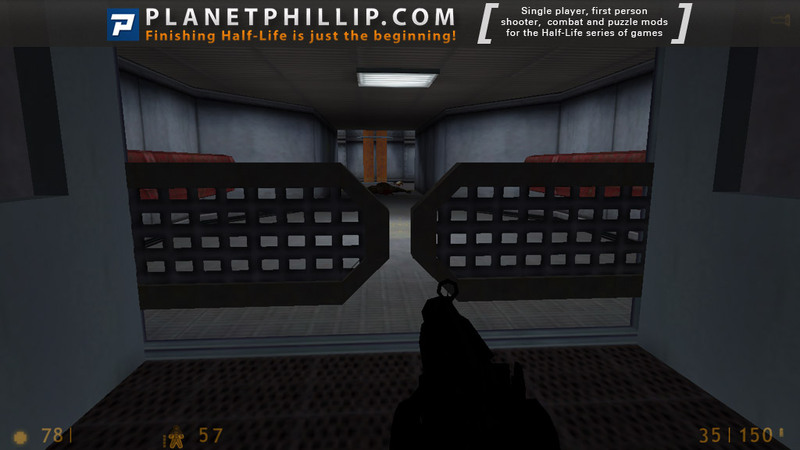 So this adventure is small, but very true to Half-Life, and that’s why it is worth playing it right now. Good to know where the new sound files came from, I wondered this myself. It’s a shame that they were omitted from the original game in my opinion (I love the voice of the hazard suite ;))! Very nice map overall with not many issues (I only noticed a door opening in the wrong direction) and a very cool central bridge chamber. 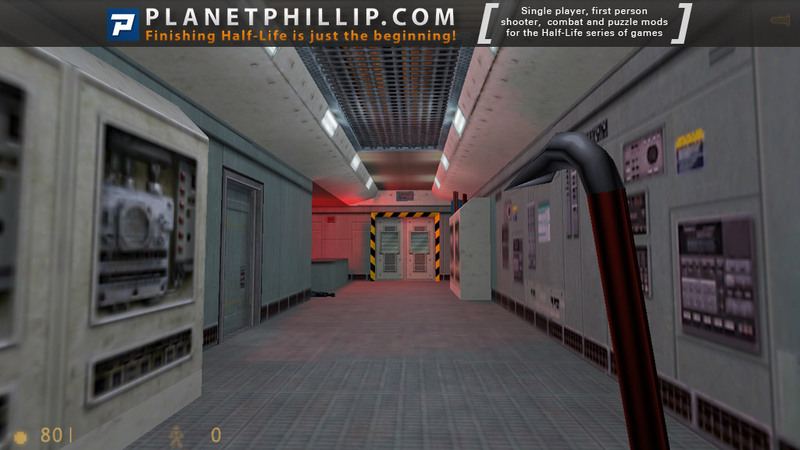 I agree with Phillip that a huge map pack with some of the recently released maps connected to each other would be cool :)! Overall: Play it. Great map, a tad short but it gives you a strong BM feel. I like it, the most of the places are looking quite ok, there are some nice details here and there. Sometimes the enemy placement is a bit boring, but there is a good variety. Level design is impressive and the few combat scenes are well balanced. Would be nice to see a longer map from the same author! 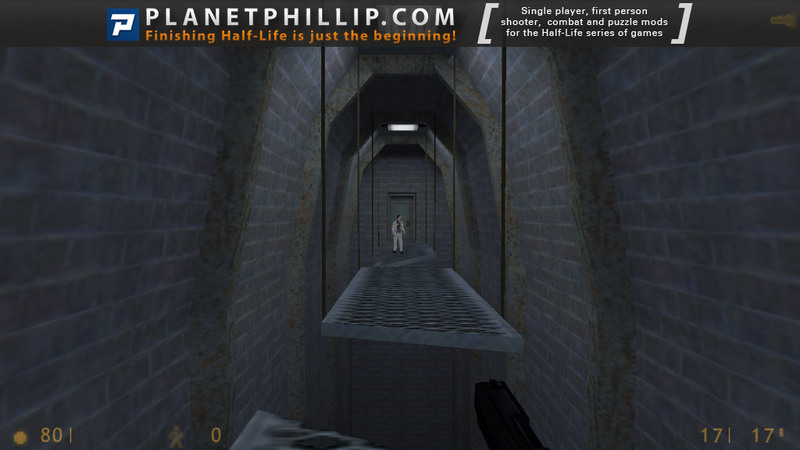 The walkway is nothing new but always a good content for such shooter games. It’s a very good map but unfortunately short. I want more! Quite a short but pretty sweet map here. It’s a real shame this wasn’t developed into something larger (even a little). As it stands, just when it gets going it’s over. 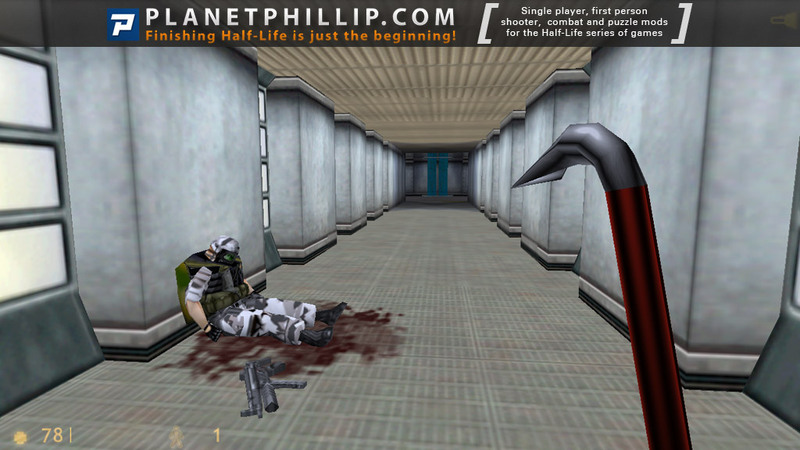 Nameless does a good job of capturing the Black Mesa feel. I liked the large platform setpiece but feel it could have been developed with just a little more work into a mini version of Blast Pit perhaps. 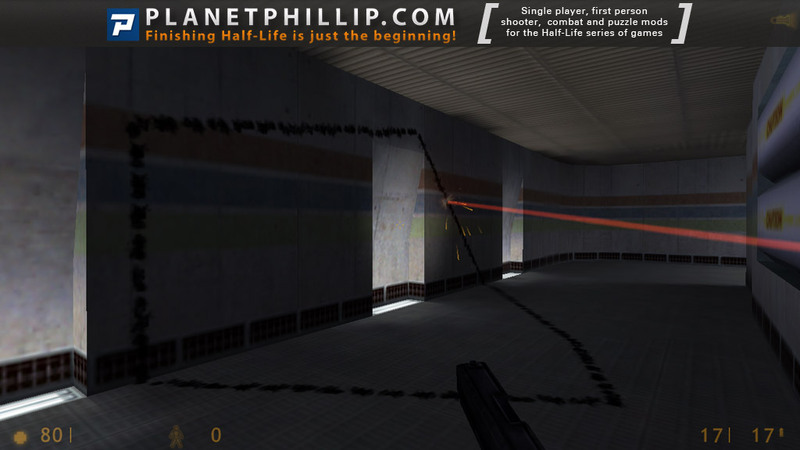 In short: good but short Black Mesa style map. It was fairly challenging due to the shortage of health and ammo. OMG!! I LOVE THIS MAP!!! This is what I call a BM map done right. The combat was great, the enemies were not too tough and not too easy. The environment was so good it feels like you’re there. I don’t have anything else to tell you than to PLAY THIS MAP RIGHT NOW!!! !